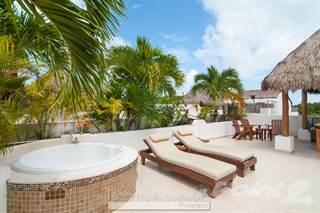 Searching homes for sale in Tulum, Quintana Roo, Mexico has never been more convenient. With Point2 Homes, you can easily browse through Tulum, Quintana Roo, Mexico single family homes for sale, townhomes, condos and commercial properties, and quickly get a general perspective on the real estate market. Point2 Homes gives you far more than a simple list of houses for sale. Get instant access to loads of relevant information about Tulum, Quintana Roo, Mexico real estate, including property descriptions, virtual tours, maps and photos. If you like a house for sale and you want to speak with a professional, simply contact the listing agent right from page of listing details. Or if you want to talk to an agent before anything else gets done, you can click the Tools tab and Find an Agent – you get a list of real estate agents in Tulum, Quintana Roo, Mexico, all ready to give you top-notch professional advice on house prices and more detailed information about your target area. Use the map view to find homes and apartments for sale based on amenities and features in Tulum, Quintana Roo, Mexico that you may want close by. You can select your preferred area or neighbourhood by using the radius or polygon tools in the map menu. Filter among the 3,413 listings in Tulum, Quintana Roo, Mexico, based on real estate price drops in the past six months, so you’ll never miss a bargain. Get new listings in your inbox, daily or every week, based on your preferences, by simply saving your searches. All it takes is two clicks. Located in the southeastern part of Mexico, Tulumis the site of thefamous Mayan walled city and is close to the tourist locations of Riviera Maya and Cancun. There are approximately 18,200 people living within the 788 square miles of the city. Tulum is home to one of the most well-preserved Maya sites with ruins dating back over 500 years. Rapid development has brought modern infrastructure and increased investment. From new homes to major international stores like Walmart, Tulum is becoming a major Mexican hotspot. Even the Wall Street Journal ranked Tulum as one of the top destinations for retirees. There are no major colleges in Tulum but the closest higher education school is the Universidad de Quintana Roo located in Playa Del Carmen. The Mayan culture and peaceful jungle adds to the laid back and bohemian lifestyle of Tulum. The holistic influence is prominent enough to warrant the development of a neighborhood called Holistika which embraces the health, wellness, peace and nature of Tulum. You’ll find the world famous Tulum ruins and the Sian Ka’an Biosphere reserve located in the city. Tulum has a tropical savannah climate with crisp blue Caribbean water to the east and jungle more inland. Temperatures tend to drop into the 60s and 70s in the evenings and reach the 80s and 90s during the day. June and July are the hottest months although by only a few degrees. The rainy/hurricane season runs from June until October. The wettest months are June, September and October with average monthly rainfall exceeding 6 inches. Real estate and rentals are still affordable but development is increasing. There is a lot of interest in Tulum as more retirees and Mexican citizens look for affordable condos and homes overlooking the water or within the peaceful confines of the neighborhoods. Tulum has seen substantial growth since 2000. Back then, there were no paved roads in Tulum. As Mexico continues to build the infrastructure of Tulum with roads, electricity and other amenities, the urban lifestyle of yoga classes, coffee shops and grocery stores are becoming the norm. Tulum refuses to give up its natural beauty which entices residents seeking tranquility. Perhaps the most significant cultural influence in the area is the Maya ruins. The expansive ruins within a walled area overlook the beautiful blue waters. Set amongst rolling hills, these ruins stand as a testament to the culture as well as Mexico’s desire to celebrate its origins. Tulum hosts many festivals throughout the year includingDia de losMuertos and many local bars and restaurants are known for hosting their own celebrations. The Tulum ruins are the third most visited archeological site in Mexico with a constant stream of buses bringing tourists to the area every day. This well-preserved site features rolling hills and picture-worthy wildlife. Tulum has a fun cocktail scene featuring drink concoctions in line with Mexico’s tequila and margarita fame. Batey, Casa Jaguar and Gitano are popular spots with well-known drink menus and the full moon party at the Papaya Playa Beach Club is a wild affair. Tulum is broken up into three distinct areas: Tulum Ruins, Tulum Town and the Tulum Beach Strip. On top of these areas, two others, Aldea Zama and Holistika, are developing into up-and-coming neighborhoods. Although this is not an area where people live, the famous walled city of the Mayans is a major tourist destination and a testament to the Mayan influence. Like many of the other Hotel Zone neighborhoods in resort cities, Tulum’s Hotel Zone is along a stretch of breathtaking beach and beautiful hotels. Specially-designed homes overlooking the Caribbean Sea gives Tulum a unique style. Tulum Town is a mini downtown area with restaurants, stores, small hotels and the amenities one would expect in a small town. Locals will take care of shopping in the destination about 3 miles from the beach. This up-and-coming neighborhood is considered the new town center and offers an updated look and feel from the mini downtown area. Continued development will see condos, homes, commercial real estate and the prime retail space inspired by places like Playa Del Carmen. Also a newer neighborhood, the concept behind Holistka which is in the southern end of Tulum is to provide a location which emphasizes health, wellness, peace and nature. Residential and commercial property development is expected to rise in this more jungle-like Tulum location. Development is expected to grow considerably in Tulum.With new developments in spots like Aldea Zama and Holistika, Tulum is on target to be one of the latest hot spots in Mexico for tourism, residential and commercial investment. Along with homes and condos being built and sold, land is being purchased to accommodate outside investors, especially those willing to make a cash purchase. Housing options are very affordable compared to other nearby cities such as Cancun and Playa Del Carmen, except when it comes to renting. The cost of renting in Tulum, remarkably,is higher than in Cancun and is about 25% higher than Mexico City. As baby boomers are looking to retire in peaceful environments with affordable housing and beautiful weather, they are looking toward Tulum. Home prices are increasing with the new interest in Tulum and it is not unusual for the market price to double within two years. Tulum is known to have a more bohemian and laid-back vibe and is increasingly becoming a destination of choice for everyone from retirees to vacation residents to full time residents. 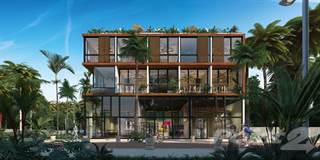 Along with all-inclusive hotels, Tulum is developing more high-end residential and shopping options in places like Aldea Zama and health and wellness focused spots amid the jungle areas in Holistika. There are no colleges in Tulum but there are plenty to choose from for those seeking higher education in Quintana Roo. Universidad de Quintana Roo is located about an hour north in Playa Del Carmen. With the Maya ruins and Sian Ka’an Biosphere Reserve there is much research that takes place in Tulum. Mexico’s Secretary of Public Education manages the education system throughout the country. Public schools are free and funded by the government as long as your child has proof of their Mexican citizenship.Local private schools are generally the way foreigners choose to educate their children.